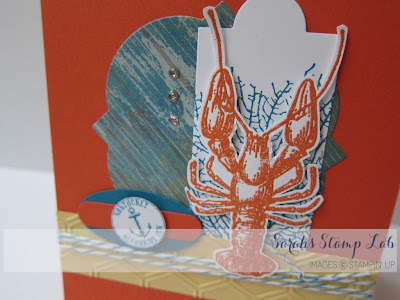 This is one of the cards that we made at my By The Tide class. 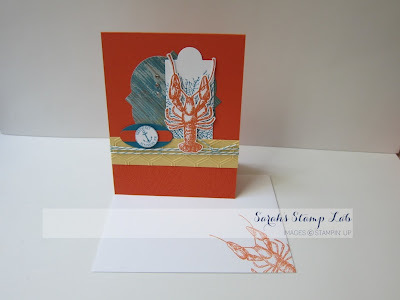 I cased this card from the Create with Connie and Mary blog. I love how this lobster looks when embossed with the Tangerine Tango Stampin' Emboss powder. 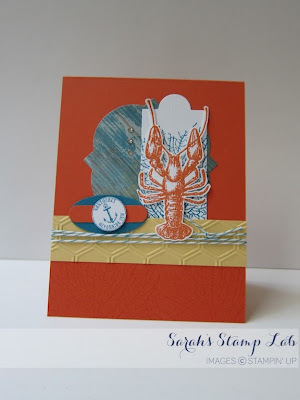 Here's a close up of the embossed lobster. Look at how detailed these stamps are! I couldn't resist...the card interior needed a lobsty as well! 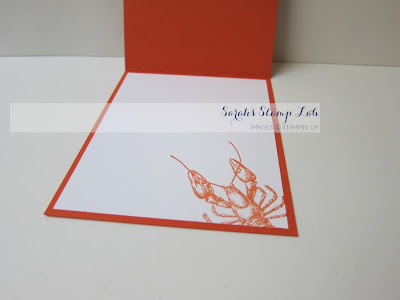 Okay....I needed a lobster on the envelope too. I couldn't help it! He's so cute! Love the design & colours. You have done amazing work with this set.